Tania Thomas is one of the marae reps for Mangataiore marae, and is secretary of Te Runanga-a-iwi o Ngati Kahu. She lives in Tamaki Makaurau with her tane Robert McKenzie, and they have three daughters plus one granddaughter. 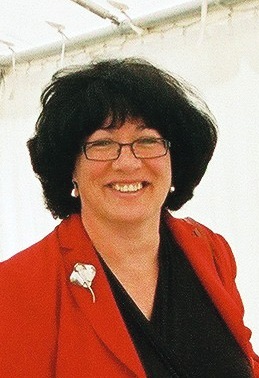 Tania has extensive leadership experience in the disability sector, most recently serving as the Director of the Families Commission's Centre for Family and Whanau Knowledge, and earlier spending 12 years in the Office of the Health and Disability Commissioner, first in the role of director of advocacy, and then as Deputy Health and Disability Commissioner with delegations in dealing with prison health, Maori health and disability support services complaints. Tania's most recent posting is as the newly-appointed CEO (effective 19 January 2014) of Te Roopu Taurima o Manukau Trust, the country's largest provider of kaupapa Maori disability support services. She has a Masters in Business Administration from the University of Auckland and has spent most of her working life in executive managment positions within the social services, not-for-profit sector. Prior to taking on various management roles Tania was a rehabilitation worker in the field of visual impairment. She is also the President of the Auckland YWCA with a strong interest in social justice for women and children.